The Netherlands is low on the list when it comes to protein self-sufficiency. Joshua Parfitt visits the seaweed enthusiasts who foresee a greener, healthier, and more locally-grown future. When you eat a chicken, you are not just eating a chicken: you’re eating whatever the chicken ate. No one really cares for this when crispy wings are coated in paprika, honey, and salt or roasted with grandma’s secret stuffing, but Martinus van Krimpen, a senior researcher in animal nutrition at Wageningen University, thinks about these things. ‘Soybean meal is our largest protein source; half of all the protein [in poultry and pig feed] is from soy,’ he says, pointing to the offending figure: the Netherlands produces just 5% of its soy. Van Krimpen suggests that, globally, by 2050 we will need to produce 70% more food, including twice as much meat. In such a world, widespread dependency could make the Netherlands vulnerable to catastrophe, and subordinate to foreign regulation—though it’s illegal to cultivate genetically modified (GM) soy in the EU, 95% of the Netherlands’ imported soybean meal is GM. ‘f you are eating poultry and pigs in the Netherlands you are eating GMO products as well,’ he says (unless you buy organic). For the best part of 10 years, Van Krimpen has been figuring out how to grow protein for animal feed that is closer to home, and does not need extra farmland nor extra cost. The most promising alternatives are insects, algae, leaf proteins, and synthetic amino acids. Van Krimpen and his colleagues discovered that, with a protein content of 40%, soy can yield between 1.5 and 3 tonnes of protein per hectare of land. Seaweed? 7.5 tonnes of protein per hectare. There is a big problem, though. Seaweed is packed full of protein, minerals, and anti-oxidants; it requires no land, no fresh water, and no fertiliser; it cleans the ocean water of heavy metals, it reduces the need for antiobiotics in poultry and pigs, and by sucking up CO2 into its fronds it has a carbon-negative impact on the environment. But you can’t eat a lot of it. Seaweed it too mineral-rich, too much of a superfood, to replace the dreary soybean. It would be like feeding chickens caviar. Which leaves us with a question: if it’s too lavish for poultry and pigs, can we eat it instead? 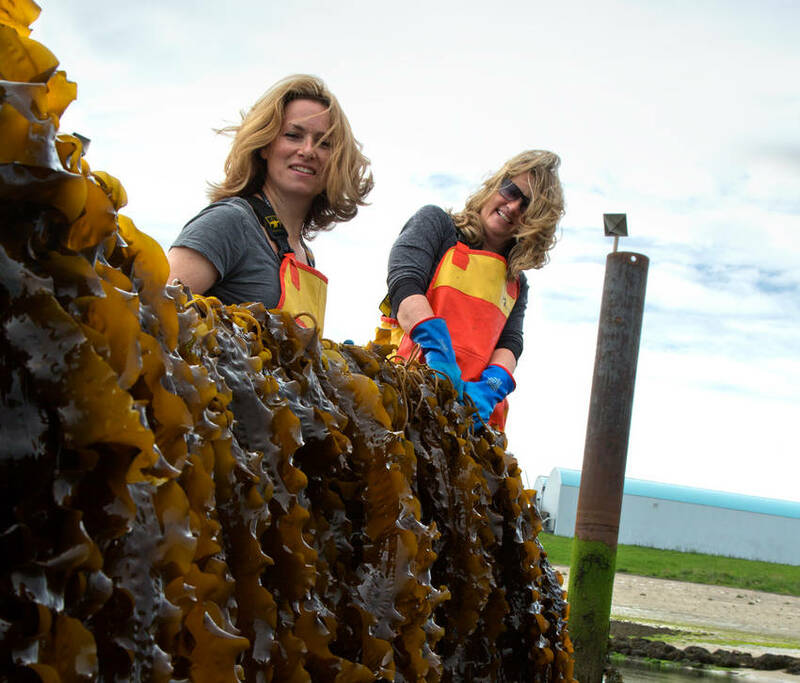 In 2013, her company became the first seaweed farm in the Netherlands. They are still the only 100%-farmed seaweed producer in the country, and in May became the first 100%-farmed, organically-certified seaweed company in the EU. ‘The highest cost price [of seaweed] is for food,’ she adds, suggesting that direct consumption would therefore benefit farmers too. But do you want to eat it? Seaweed is not some new-fangled trend that will have a minor explosion in the vegan section at healthfood shops. It’s been eaten for centuries in the Far East (think sushi, miso soup, etc…) and even in Europe, where in Wales it makes the traditional laverbread. 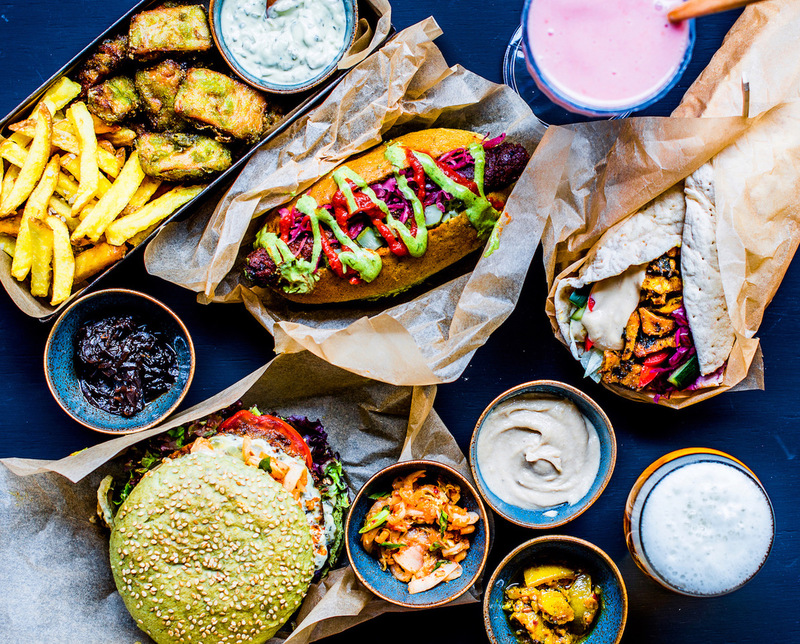 Zeewaar have managed to get their crops of royal kombu and sea lettuce into an impressive array of products: bath salts, regular salt, roasted peanuts, tea, chocolate, falafel, mayonnaise, wraps, chicken(less) nuggets, beef(less) burgers, and hot dogs. Their biggest customer, and the chefs behind the aforementioned meat alternatives, is The Dutch Weed Burger. True to van Krimpen’s earlier conclusion, Kulsdom’s Weed Burger only uses kombu for protein, nutrition, and flavour. The bulk of the burger is made up from non-GM soy, 75% of which Kulsdom sources from within the EU. It sounds unlikely, but the Weed Burger is not just a far-off idea: Kulsdom has just returned from a production facility where he made 30,000 patties to last him through the summer. Besides his own epoynmous restaurant and festival food truck, he stocks over 200 outlets, including every café in the Bagels & Beans franchise. EU-grown seaweed has recently gone even more mainstream than Bagels & Beans, for you can now find it in over 170 Albert Heijn supermarkets. 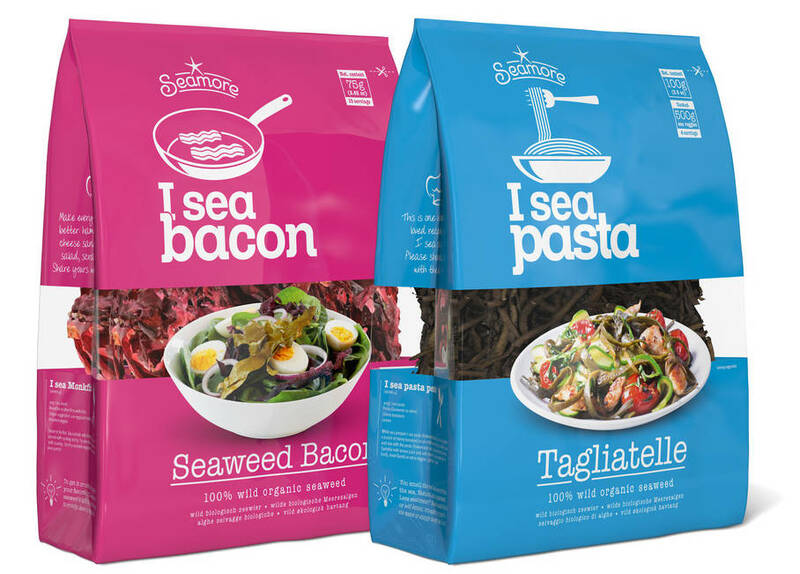 The Amsterdam-based company Seamore behind this progress are probably the most prolific seaweed company in the Netherlands, stocking 12 European countries with their range of three look-a-likes: Seaweed Pasta, Seaweed Bacon, and Seaweed Wraps. Both the Seaweed Pasta and Seaweed Bacon, furthermore, are 100% seaweed, and can be fried up and easily added to all kinds of dishes. However, there is a difference between Seamore’s products and Zeewaar’s. Where Zeewaar is Dutch-grown, Seamore source their seaweed from France and Ireland; where Zeewaar is farmed, Seamore is harvested from the wild. ‘In Europe, farmed seaweed has such a limited scale that the very high prices do not allow accessible seaweed products to be created, which is why we have created this path of wild first, farming second,’ says founder Willem Sodderland. ‘The MSC recently introduced a programme for certification of sustainable harvesting and farming of seaweed [and] we are now helping our partners to become certified as soon as possible,’ he added. Seaweed could be a panacea. If handled correctly, it could bring all the above benefits; if handled badly, however, over-harvesting could decimate wild stocks and stress native ecosytems. Seamore do ensure that their seaweed is hand-picked—Sodderland says that sensitive harvesting can even improve ecosystem health—but both they and Zeewaar lament the current high prices of locally-farmed seaweed. 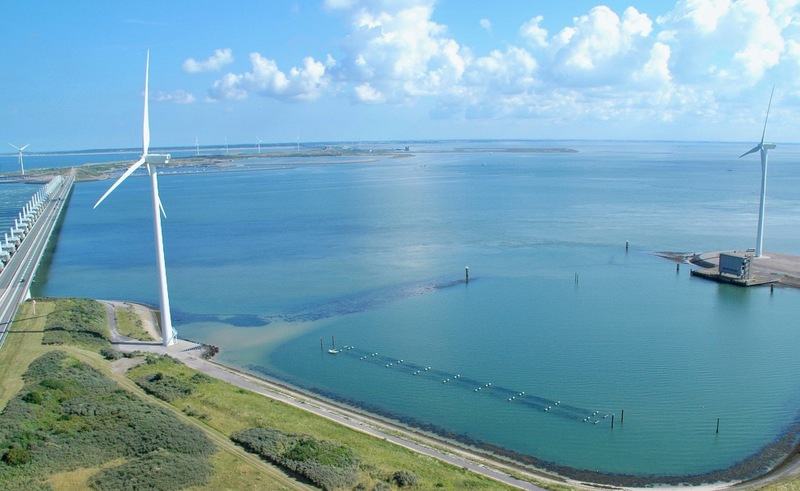 Whilst still the only commercial seaweed farm in the Netherlands, Zeewaar hopes their model could be replicated. They want to create what they call a Seaweed String of Pearls all along the European Atlantic coastline, where environmental stewardship, profitability, and protein go hand-in-hand.